But I got stuck at here. 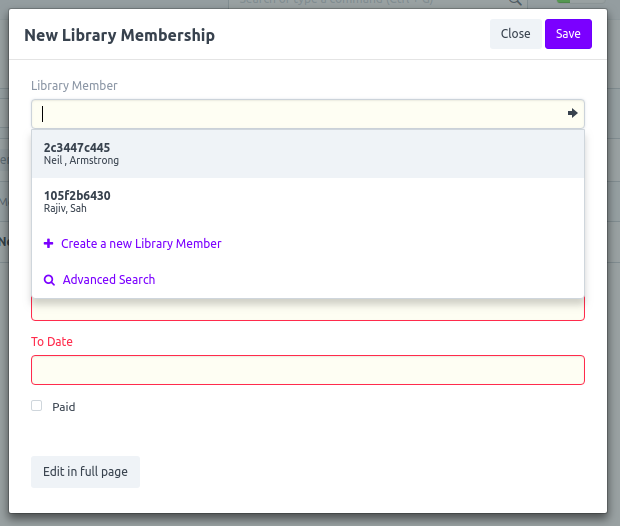 In the tutorial it says " Here if you remember we had set the values of Member First Name and Member Last Name to be directly fetched from the Member records and as soon as you will select the member id, the names will be updated. " But its not happening for me. It doesn’t. any other way around? thank you very much for the reply. it does get the work done. but the fields aren’t filled dynamically. could you pls help me out in this regard as well? again, thnk you very much. sorry, but I cann’t understand. you moved it to fetch from, right? and it doesn’t work in the dialog or in the full page too? But the values in the above read only fields are shown only after i submit the form. Its not happening real time. can you help with this? any kind of suggestion would be highly appreciated. Hi @NMyshuk for me works only in full view form. In the dialog the field didn’t fill up automatically. Is it could be fixed?